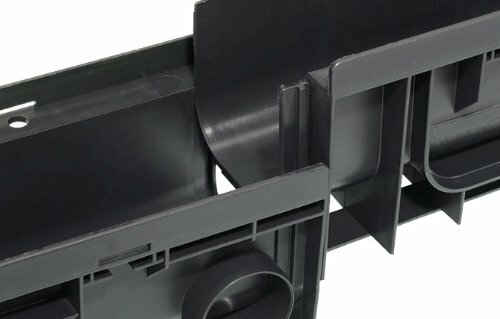 The modular design of SABdrain makes the assembly and installation of the drainage channels easy, thus saving time and money. SABdrain products are made from 100% recyclable products that can be used again in the manufacturing process. Therefore protecting for the environment for the future generations. The smooth rounded internal surface of the SABdrain water drainage systems creates higher flows rates while allowing a self cleaning action thus avoiding the accumulation of silt deposits. Due to SABdrain's superior Polypropylene construction, it is able to resist most chemical agents, acids, salts, alkaline, fuels, oils, fats, etc. 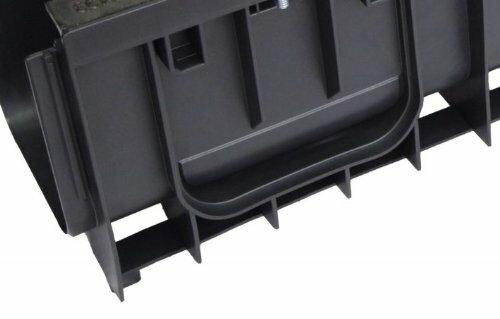 The advanced construction of the SABdrain drainage channel gives it greater structural rigidity, protecting it from damage during and after installation.  Being manufactured from lightweight materials, SABdrain has the added advantage of being easier to handle, transport, and install. Anti-slip buttons giving the grate a slip resistance surface. Compared to Polymer Concrete Channel sabdrain has a lighter chanel weight, Faster Installation, Quicker flow rate and more strength than your standerd Polymer concrete channel. All Sabdrain drainage chanels are equipped with security grate locking devices (optional on SABdrain 507 and 351). 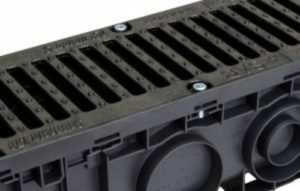 This unique system keeps the grates rattle free from vehicular movements and secures the drainage system from unauthorised access. 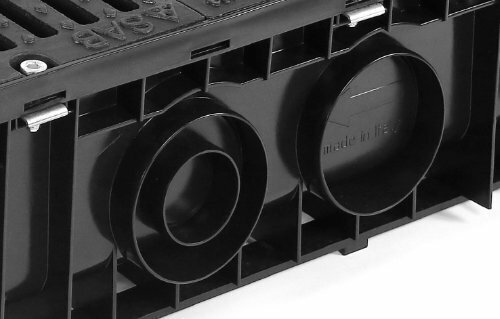 SABdrain 507 and 351 Utilises a "Click Clack" grate holding arrangement that allows ease of access while still being able to hold it firmly in place. SABdrain drainage channels have been designed with "Interlocking Joint Connection Systems" that allows an exact fitting and locking together of the channel ends preventing any lateral and vertical displacement. Due to this unique joining system it allows the channels to be easily transported. SABdrain drainage channels are designed with "Anti-Floatation Devices" consisting of longitudinal and vertical profiles that facilitate the flow of concrete around the channels base band sides, preventing it from floating as it is being placed. Each SABdrain channel's "Interlocking Joint Connection Systems" is equipped with a 2° offset feature that allows the drainage system to be installed along curved applications, while still allowing the exact fitting and locking together of channels into place. 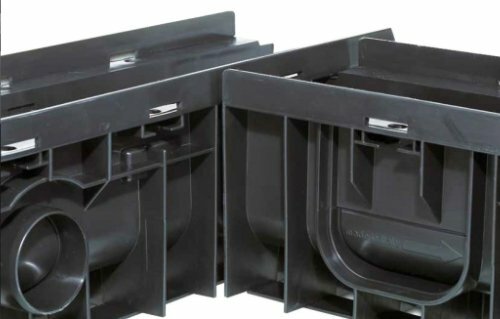 Each SABdrain drainage channels are fitted with a series of preset pipe connections on the base and side of each unit, that allows for a simple cut-out and connection to the stormwater system using PVC stormwater fittings. 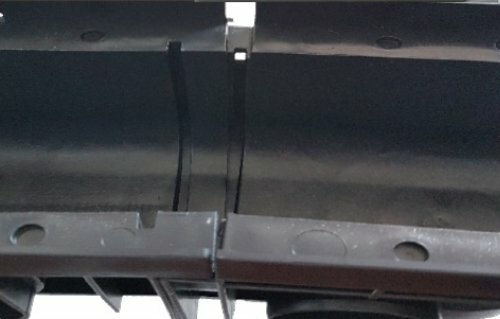 All SABdrain drainage channels are equipped with present "lateral Connections" to enable 90° joining of two channel units together. This feature allows the creation of right angle, tees and crosses withough the need of any additional fittings. Ready to order SABdrain for your next job?